Setting the right price for a luxury home is one of the most critical aspects of selling a home. Setting a price too low and the homeowner is walking away from money they could have otherwise added to their own pocket. Setting a price too high and no amount of marketing will help get that home sold. The price of a home is determined by what a ready, willing and able buyer offers for the home. The amount invested into a home, the amount originally paid for a home or the amount owed on a mortgage does not really play into the actual price a home will sell for. Sure those items may factor into the homeowners equation as to whether it makes sense to sell the home or not, but it does not set a home’s price. Take for example a high end luxury home purchased for over one millions dollars and located on a hillside with a great view of the city. If the home has been kept in excellent shape, updates been made as needed, repairs done on a regular basis then the home still will only fetch what the current market indicates. If the real estate market is strong and there are plenty of buyers then the chance of the home selling for more than it was purchased for may be good. On the other let’s say that same home had one quarter of the house shift downward resulting in major structural issues due to improper construction on the hill side. The home may have been purchased for more than one million dollars but due to the current condition no one will pay that much. While the hillside shift is an extreme example even in less extreme examples the principal still holds. A home is only worth what people will pay for it so getting the price right from the start is crucial. What Is The Worst That Can Happen With An Overpriced Home? Just as a homeowner will not overpay to install a new HVAC (heating, ventilation and air conditioning) system in their home since some other company with a similar system can install it for the going market rate, luxury homebuyers will not pay more for a home than it is worth as there are plenty of other homes on the market that would substitute for the overpriced one. While it is possible the home in question is truly unique since it may be the only castle/home for the next 500 miles that does not mean most buyers would be interested. In fact if a home is a truly unique castle then those homes become even a harder sell since most buyers are not really looking to pay a lot of money for a castle and simply want a functional home to live in. The hunt for a buyer of a unique castle is much more complicated and more costly to boot. Most luxury homebuyers are working with real estate agents who know the current values of homes and as a result will inform their clients as to the relative price of homes the buyer is interested in. Even if the luxury homebuyer is not currently working with an agent they are seeing many homes with similar features, layouts and size and they usually themselves become experts in identifying overpriced homes compared to the properly priced homes. Overpriced homes will get little interest from buyers and will be very unlikely to get any offers. Overpricing a luxury home as a negotiating strategy is a strategy that does not work. First off buyers who may be interested in a luxury home in their pricing range may never come across the overpriced since it may be priced outside of their range. Even if the home does come across their search and they do decide to see the home, most buyers are not likely to make an offer due to the worry of being seen as insulting the sellers by offering lower than the asking price. Homeowners would be better off with accurate pricing and then negotiating with sellers on minor price adjustment and other offer details. Homes that are overpriced have a tendency to sit on the market for much longer than homes that are properly priced. In the Greater Cincinnati Luxury Market luxury homes are on the market for an average of 151 days. Luxury homes that are overpriced will be on the market for longer than that and when homebuyers see a home that has been on the market for a long time they begin to question what is wrong with the home. Pricing as an issue rarely enters the minds of these homebuyers since they have not seen the home and do not know that the only thing wrong may be the high price. Regardless those buyers are less likely to want to see a home that has been sitting on the market for too long. In order to attract the attention of buyers steeper price cuts will be needed which implies that since the home is on the market for longer than normal coupled with steep price cuts there must be something wrong. After steep price cuts, then come bargain hunters looking for deals who more than willing to test the water with lowball offers. Why Do Some Real Estate Agents Agree To List Overpriced Luxury Homes? It is one thing for an experienced luxury agent to agree initially to a high price than normal on a luxury home and have written into the contract a price adjustment to a more reasonable level after a few weeks. On the other hand there are real estate agents who will accept whatever price a home seller proposes in what is commonly called “buying a listing”. Agents buy a listing when they propose or agree to a high price for a home in order to win the right to be the agent to sell the home. Most of the time those agents don’t care about selling the home and are more interested in getting the contact information of buyers who do happen to come through the home and will focus more on those buyers than the act of selling the home. These agents will usually engage in the bare minimum of marketing of photography, posting on the MLS and a yard sign. Even worse some of these agents may encourage the use of an open house since they will be exposed to many more buyers who may be interested in buying a home sometime in the future. For a luxury home an open house is generally not a good idea. Any buyer walking into the door of the open house may or may not be able to afford to purchase the home. The agent does not know and does not care since if they cannot afford the luxury home they surely can afford a lower priced home which they would be more than happy to help those buyers find. By allowing an agent to hold an open house for a luxury home homeowners put themselves at risk based on the hope they may actually get a buyer who would be willing to purchase the home at the inflated price. 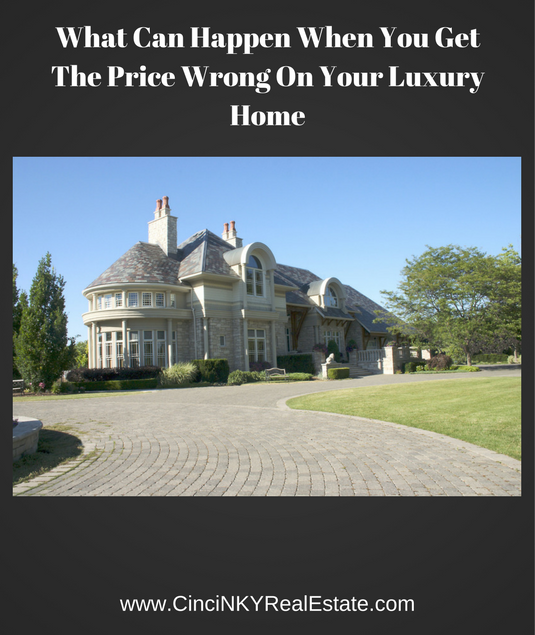 What Is The Best Way To Determine The Price Of A Luxury Home? Now that it has been shown that overpriced homes can be the downfall of any home seller and could be used by unscrupulous real estate agents to piggy back off of a listing agreement for their own business generation how can a homeowner determine the best price so none of that happens? The answer is get a pre-listing home appraisal done on the home so that a neutral party provides an opinion of value of the home based on recent market sales and current market conditions. The nominal cost for a home appraisal will be more than made up for by the home being on the market for fewer days and by being able to tell if an agent is only looking to buy the listing. Not only is the appraisal good for helping price the luxury home and protecting against unscrupulous agents it is also good for when an offer does come in. The homeowner can compare any home offers with the appraisal amount to see where it falls in the scheme of the value of the home. Additionally if the homebuyer’s lender comes in lower on their appraisal the homeowner has another appraisal with which the homebuyer can use to appeal their lender’s appraisal. By having that pre-listing appraisal the homebuyer can more effectively claim their offer was proper and therefore the amount to be borrowed to buy the home should be approved. 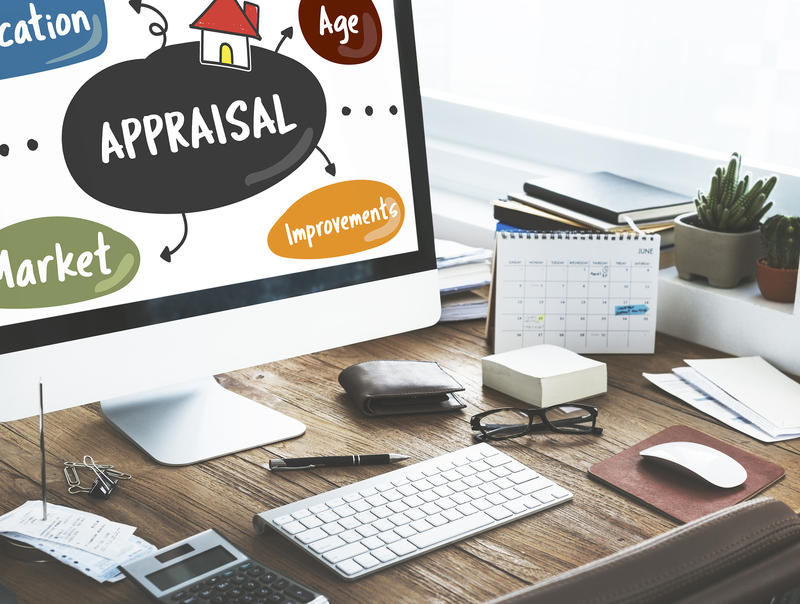 An appraiser is more likely to accept another appraiser’s opinion of value over that of the homeowners or their real estate agent’s opinion. Getting a luxury home priced correctly from the start will help ensure less time on the market which means less time keeping a home in tip top shape for buyers. 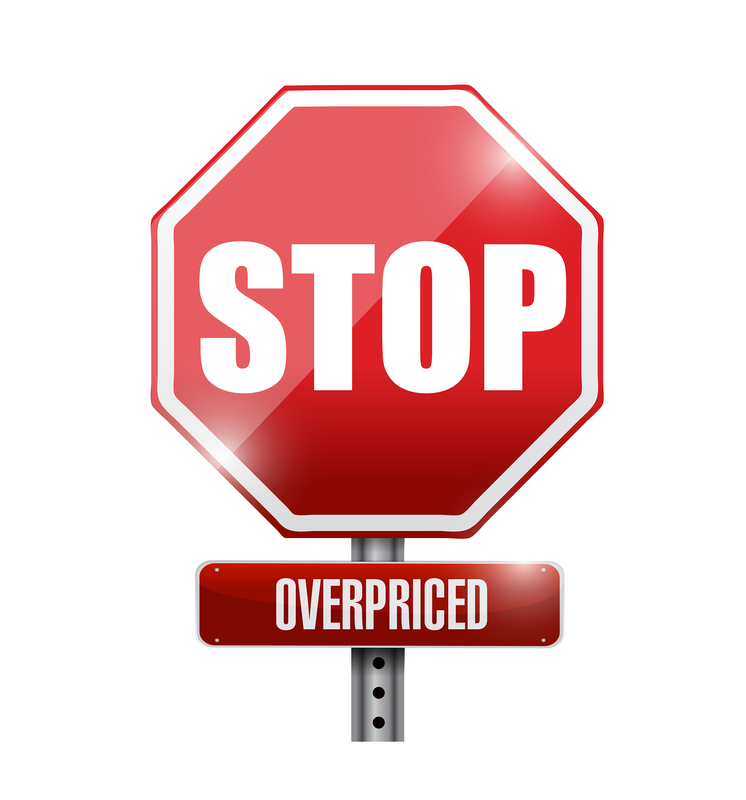 Overpricing as a strategy rarely works and often leads to a home stagnating on the market. An ideal way of pricing a luxury home is to have a pre-listing appraisal so that a neutral party can provide their professional opinion of the actual value. About the author: The above article “What Can Happen When You Get The Price Wrong On Your Luxury Home” was provided by Luxury Real Estate Specialist Paul Sian. Paul can be reached at paul@CinciNKYRealEstate.com or by phone at 513-560-8002. If you’re thinking of selling or buying your investment or commercial business property I would love to share my marketing knowledge and expertise to help you. Contact me today! Great article. May I reference it on my website and provide a link back to your site? Sorry for the late response. Feel Free to make a reference to the article.